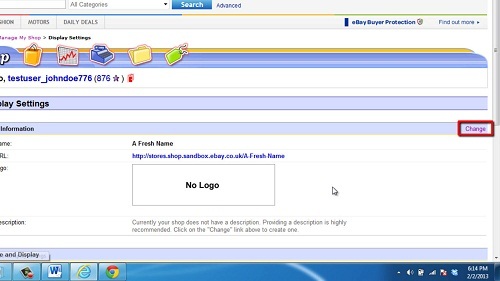 In this tutorial you are going to learn how to change ebay shop name. Navigate to eBay and make sure you are logged into your account. In the menu at the top right click on “My eBay”, in the new page click on the “Account” tab and in the list of links on the right click “Subscriptions”. 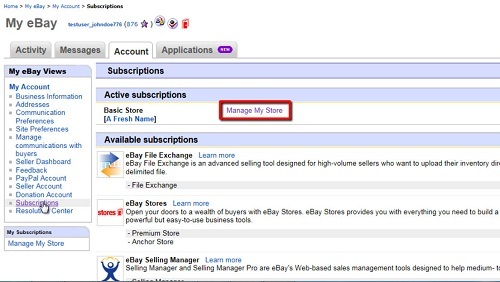 Assuming you have a shop it will appear under subscriptions, click on the “Manage My Store” link. You will be directed back to the previous page and you will see that the shop name has been successfully changed. 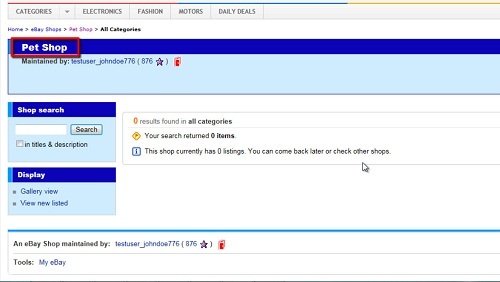 Visit the “Shop URL” to make sure that the name change has been applied to the publically visible shop, as you can see here it has and that is how to change ebay shop name.